Somehow, amidst lectures and the closure of yet another semester I find myself having the spare time to do something apart from being a student. It’s true, though — I have other shoes to fill. And this time, literally! It’s not my first time frolicking about in these Dr. Martens, and for the sake of demonstrating how versatile these boots can be, as well as for the curious mind who might take interest in how fast my hair can change in just four months, do check out my previous look here. 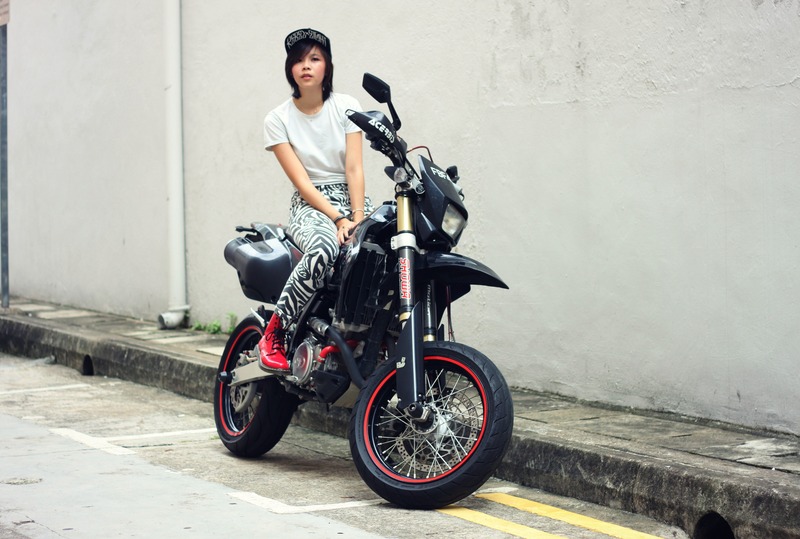 So last weekend I got all dressed up and slathered on more makeup than I could handle, then hopped onto a bike and traveled to a quiet street in Tanjong Pagar for this photo shoot. I had fun. I decided to enter this competition organized by Poshism in collaboration with Dr. Martens. Basically you upload a look with you wearing a pair of DMs, get the most number of people to vote (“posh”) it on the site, and then wait for good news: winning a new pair of DMs! Here’s the photo I chose to submit. The look I went for was kind of straddled between androgynous and soft grunge. First off, before anything else, I have to express how grateful I am for all the support I’ve gotten thus far. Canvassing is hard work; harder than you imagine before you try. And to think in three days I managed to amass a handsome 332 poshes? Mind = blown. I am currently in third place, and with less than four days to the end of the voting, I believe it’s highly unlikely I’ll be snagging those new kicks. Thank you for all the support thus far I’m so touched I can’t ask for more! And of course to those who have been my extra hands at this juncture: my lovely cousin Athalie, my best friend and lover K for being my photographer, and my older brother for helping me with the edits. Go to Poshism.com and create an account. You can connect through Facebook or Gmail, it just takes one click! Once you’re in, copy and paste this link into your URL address bar: http://poshism.com/user/7998/2317/. Click the box on the right of my photo to “posh” it! If you’ve “poshed” my look after reading this post, do leave a comment, Facebook message, tweet or Whatsapp me to let me know. I’d love to thank you personally. You’re also free to check out the rest of the entries on the site, or even to upload your own. 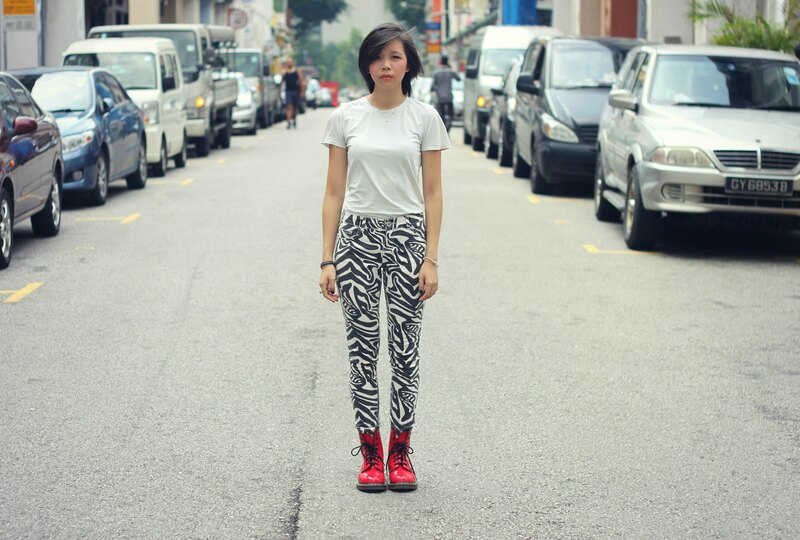 The site’s sort of like Lookbook.nu, just the Singaporean/Asian version. Oh, I wasn’t kidding when I said I got there on a bike… Ahem. Pardon my expressionless face as well. I’m not exactly model-esque and my natural face is just glum it’s actually funny. Nevertheless it was great and can I just say I love this boy to death. Enough of the shameless promotion! I’ll be heading back to my books, and once December comes there will be more updates here: food and recipes, especially. I hope you are all as excited as I am!